Your wake-up scene might be the most important one of your day. It automatically activates at a set time to get you out of bed by playing your morning playlist at a gradually increasing volume while your blinds open to let in sunlight. Do you like the temperature to be warmer or cooler while you sleep? Your wake-up scene will also adjust the thermostat so you have the ideal climate for activity. Adding voice control to your Control4 system lets you change the scene without a device, so if you’re walking into a dark kitchen with your hands full of groceries, you can turn on the lights, play music, and increase the air circulation by telling your system to activate your cooking scene. When it’s time to eat, activate a dining scene that turns down the technology in the kitchen and creates the ideal setting in your dining room. Whether you have a media room or a dedicated home theater, a Control4 installation can help you make the most of your entertainment system. Dim the lights, lower the blinds, and turn on your surround sound and flat-screen TV to create the optimal viewing environment in your media room. To give your home theater a dramatic flair, have curtains open in front of your projector screen as the lights dim and the climate adjusts to your ideal viewing temperature. You’ve just finished your nighttime routine and crawled into bed when you realize that you left the light on in the kitchen. Or the back door unlocked. 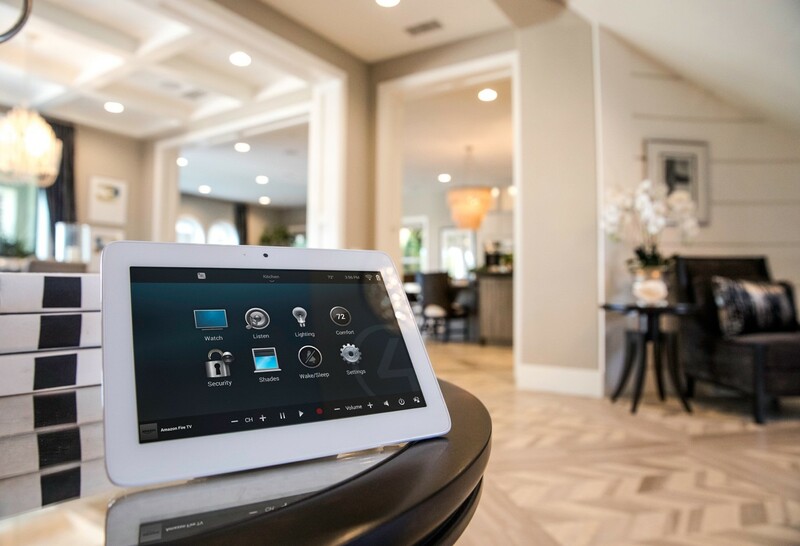 Instead of getting up to check, all you have to do is pick up your smart phone or tablet, open the Control4 app, and activate your bedtime setting, which will automatically shut off lights, lock entrances and exits, and turn on the security system in your yard. Want to learn more about how a Control4 installation can amplify your Scott County home? Reach out to one of our experts at (888) 702-7800 or by filling out our online form.